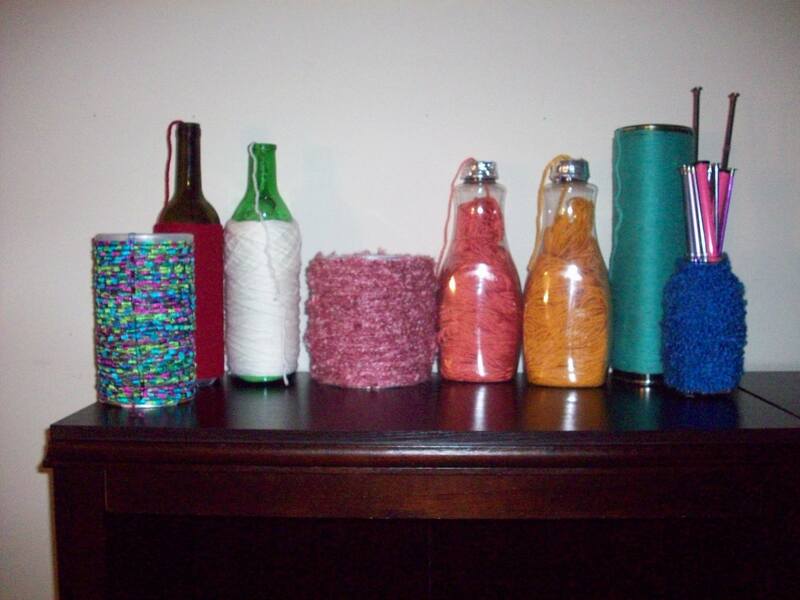 Here’s a useful and decorative way to store your yarn in plain sight! 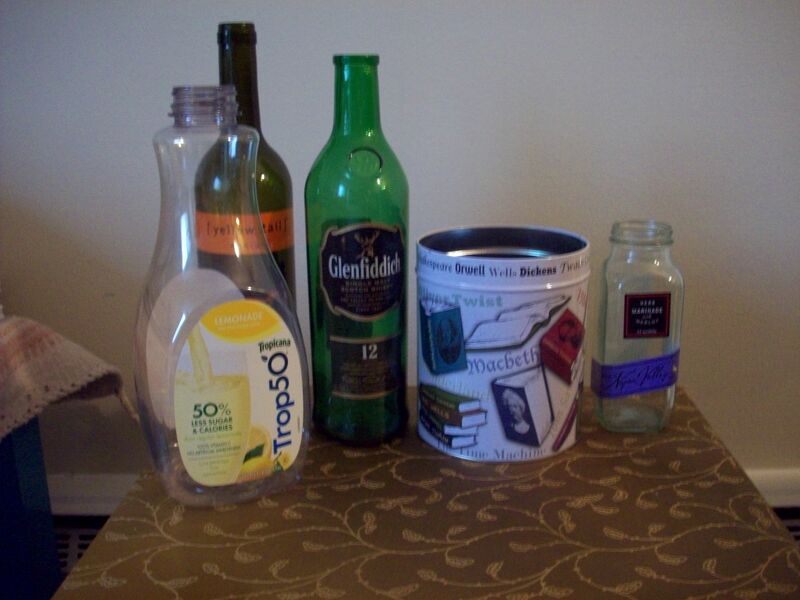 Gather some bottles, jars, or containers and wash them thoroughly. Here’s the collection of bottles I used. 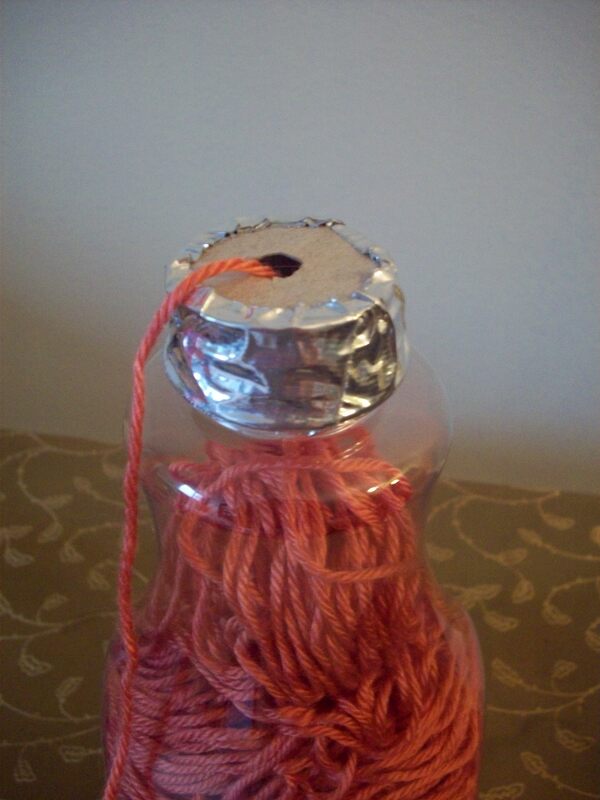 Take your yarn and tie one end loosely around the top or bottom of the bottle and wrap it around until everything is covered. Then take the remaining yarn and feed it into the bottle. 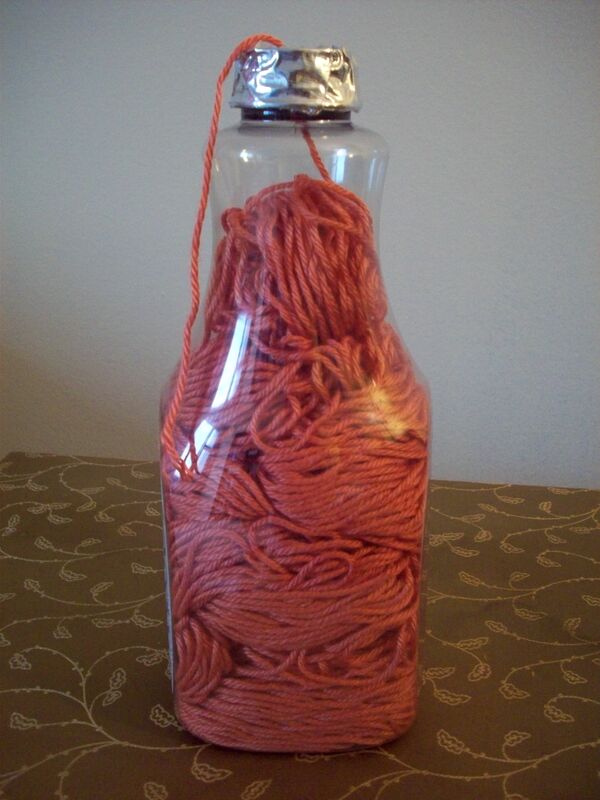 You can also just fill the clear bottles or jugs with the yarn, like I did here. With a cardboard circle and a piece of duct tape, create a top for the jug and feed the end of the yarn through the top…so now you can still craft with the yarn as it sits pretty on your shelf! Now you have cool decorative pieces that are doubling as storage! You can also adopt this idea when storing buttons and beads. Use baby food jars or mason jars to store items of the same color and arrange on a shelf for a colorful (and organized!) display!